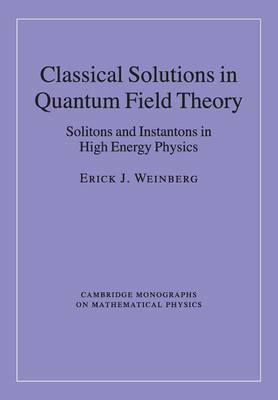 Classical solutions play an important role in quantum field theory, high-energy physics and cosmology. Real-time soliton solutions give rise to particles, such as magnetic monopoles, and extended structures, such as domain walls and cosmic strings, that have implications for early universe cosmology. Imaginary-time Euclidean instantons are responsible for important nonperturbative effects, while Euclidean bounce solutions govern transitions between metastable states. Written for advanced graduate students and researchers in elementary particle physics, cosmology and related fields, this book brings the reader up to the level of current research in the field. The first half of the book discusses the most important classes of solitons: kinks, vortices and magnetic monopoles. The cosmological and observational constraints on these are covered, as are more formal aspects, including BPS solitons and their connection with supersymmetry. The second half is devoted to Euclidean solutions, with particular emphasis on Yang-Mills instantons and on bounce solutions.